1998. Registered Missouri Fox Trotter. 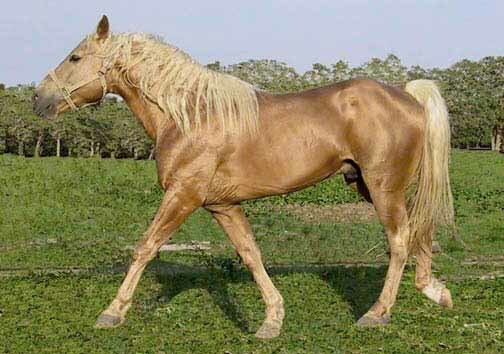 Palomino stud Sired by CASEY JONES (direct son of Mo. 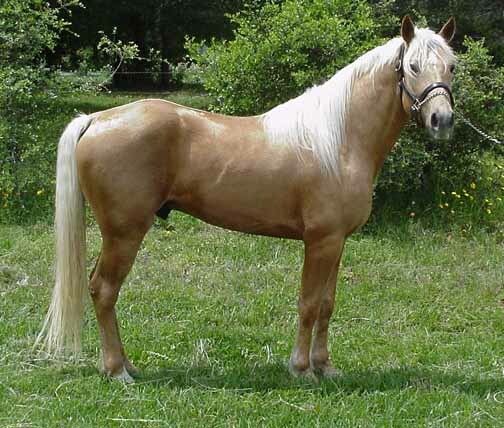 TRAVELER) MISS ZANE'S BLUE MOON V. Miss Zane is a buckskin show mare who won 1992 amateur 3-year- old futurity at Ava. Casey is a beautiful well -built stud with a white mane and tail. © 2004 Foxtrotters USA, Sanderosa Farms.